Government jobs are certainly the most sought after options after Engineering. This is certainly because of the numerous benefits offered by the Government jobs such as the high job security, lucrative perks, higher promotional avenues, high stature job, low stress and restricted job timings. In this article, we will bring forth the Top 10 High Ranked Government Jobs after Engineering. 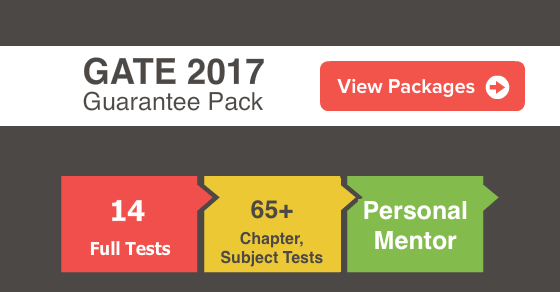 You can subscribe and get daily FREE Quiz , study tutorials and tips delivered on your personal email id to crack the upcoming GATE Exam. Civil services are considered the most prestigious and renowned jobs in India. The respect and prestige which comes with services such as IAS, IPS, IFS, IES and IRS are unmatched to anything in the private sector. Civil Service Officers enjoy lucrative remuneration, have a say in all major decisions taken by the Government and a very good reputation in the society.Although it is extremely tough to get into the Civil Services owing to the intense competition and extremely high cutoffs, one who manages to get into Civil Services enjoys a Top-Notch lifestyle. Getting recruited in PSUs is one of the most popular options amongst the Engineers.The major hurdle is that PSUs consider GATE score card in recruitment. In case you are desirous of getting recruited in PSUs, you need to qualify GATE exam.PSUs such as BHEL, ONGC, GAIL, IOCL, etc recruit on a large scale every year through different competitive exams.PSUs offer lucrative Perks, work pressure is also less and offer numerous other benefits to their employees. Defence services are one of the most prestigious and reputed jobs in the nation. Getting recruited in Army, Navy or Air Force provides handsome perks in addition to medical benefits and other facilities.In Air Force, getting recruited as Pilot is one of the most respectable and well paid jobs.Further, getting recruited as Indian Coastal Guard (ICG) comes with a high status and respectable salary. Banking sector recruits for the post of Probationary Officer (PO) and Clerk on a very large scale every year.PO is a highly reputed job with lucrative perks, high power and authority and numerous other benefits.Getting recruited as a PO in Government sector banks is a dream nurtured by large number of Engineers.This is one of the most popular options since the work pressure is very less and perks are considerably good. Getting recruited in Indian Railways is one of the best career options. Railways department recruits on a very large scale every year.The major job profiles in Railways for Engineers are Senior Section Engineer (SSE) and Junior Engineer (JE).Railway Engineer job is considered as one of the most reputed jobs with respectable salary and numerous other benefits. Further, the job pressure and work demand are also manageable. Getting recruited in Prestigious Institutions such as ISRO, DRDO, etc as a Scientist is another very brilliant career option.Scientists enjoy a reputed salary, dynamic work environment, medical insurance and other numerous benefits. The perks of a Government Scientist is many times better than in the Private Sector.Although the job is highly demanding, nonetheless the benefits make it a worthy job. Every year, a large number of vacancies are released for the post of IT Officers in Banks.IT Officers are responsible for developing and implementing technology solutions in their organization.IT Officers are recruited through various exams conducted by different banks.IT Officers enjoy a highly respectable pay scale, good reputation in the society, low pressure job and numerous other benefits. Must Read : How to Extract the best from GATE Previous Years Papers? SSC CGL is a Government run agency responsible for recruiting staff to different Governmental Departments.SSC conducts recruitment for all Group ‘B’ and Non-Technical Group ‘C’ posts at various Ministries/Departments of the Central Government.SSC recruits on a very large scale every year. Getting jobs through SSC offers a highly reputed job in addition to high pay scale, allowances and other benefits.The advantage of these jobs is that the number of vacancies are extremely high and vacancies are opened frequently. CBI is among the most reputed organizations in the country.CBI frequently recruits on a large scale for various posts. Getting a job in CBI is highly remarkable since it offers a respectable pay scale, is regarded as a highly reputed job and offers numerous allowances and benefits.Further, it offers good promotional avenues. This is another popular option amongst the Engineers. Getting hired as a Clerk in any Public Sector Bank provides a good pay scale, job security, low stress, promotional avenues, various allowances and numerous other benefits.Although it is an entry-level position, it provides good perks and promotional avenues much better than the private sector. We are hopeful that the information shared above would surely acquaint you with the Top-Ranked Government Jobs after Engineering.